For the technical preview, we’re launching Project: "Gauge" as a stand-alone service. 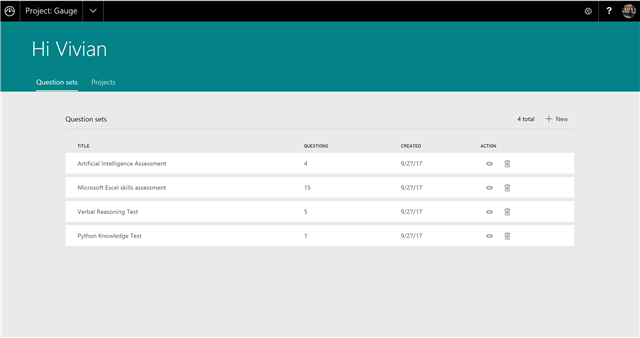 Soon you’ll be able to plug Project: "Gauge" into other Dynamics 365 for Talent Apps. For example, you can seamlessly integrate Gauge with Attract by adding an assessment activity into your recruiting process. As a hiring manager, you want to find the right talent as fast as possible. Recruiters posts jobs online and you post “We are hiring!” on LinkedIn and other social networks. In the click-to-apply Internet era, you receive a large number of applications, eventually leading to an overwhelming task of sifting through and finding the diamonds in the rough. Have you ever had someone who seems like the ideal candidate on the phone, but doesn’t live up to the expectation in the face-to-face interview stage? You are not alone. A survey of talent acquisition leaders found that 52% said the most difficult part of recruitment was identifying the right candidates from a large applicant pool. You know the traits and skills to be successful in your organization. Rather than spending time and budget on a one-size-fits-all skill assessment solution, why not build your own assessment tailored to meet your exact needs? You can map your pre-screening questions to your company’s competency model—the core value of the company and the established skill sets of high performers. Assessment can optionally be timed, allowing you to measure how quickly a candidate can complete the assessment, in addition to how well they can complete it. Choose from multiple question types, from multiple choice to rich-text input. Add embed video, image, and code blocks. 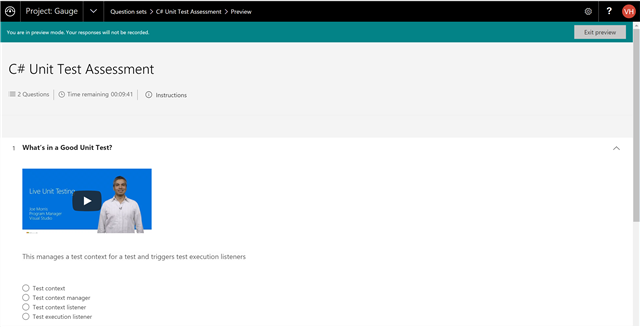 Assessments can be configured to either auto-score based on pre-defined correct answers or can be manually graded. If auto-scored, you will immediately have access to the results. When you are screening a large pool of candidates for a new recruiting project, this can be an effective way to stack-rank the candidates. Preview what you’ve built at any time. Once your question sets are created, you can build your recruiting project with a few clicks. 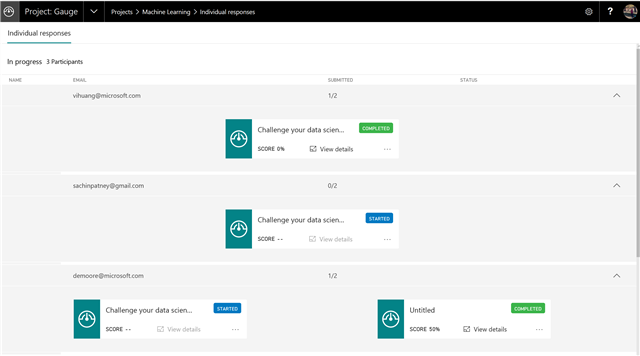 Navigate to Projects and click new to define instructions for the recruiting event, leave a contact for candidates to reach out, pick your question sets and import candidates from Excel. You can view the assessment results and grade candidate responses as they are completed. Candidates can easily complete the assessments on the device of their choice and switch across devices without worrying about losing answers.